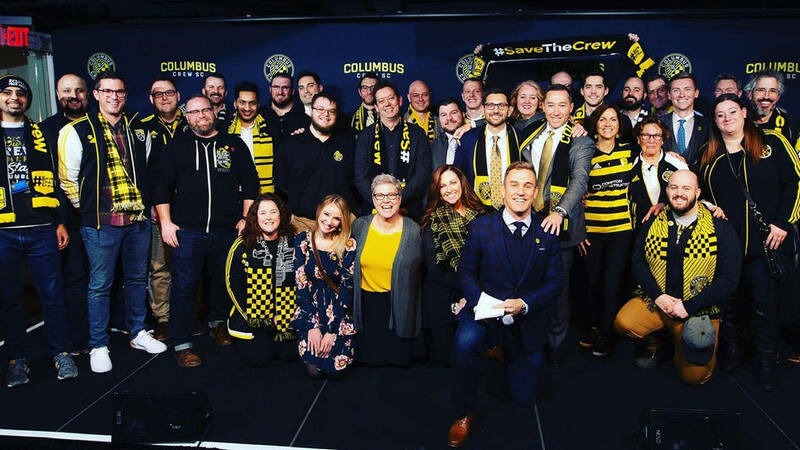 Let’s start at the beginning … When you heard about the potential relocation of the club, obviously there was some pain and disappointment, but how did this #SaveTheCrew movement really begin? This movement began online as a hashtag, and then became a physical, robust group of individuals committed to keeping our team in Columbus. Sure, the first few hours after the Grant Wahl tweet were devastating, but we quickly went from heartbroken to emblazoned rather quickly. We knew we could make enough noise so that this would be a problem for MLS. How many groups came together to build this team? The first #SaveTheCrew in-person meeting was attended by leaders from most of our supporter’s groups. I think all MLS teams’ supporter’s groups get antsy with each other from time to time, and Columbus is no exception. But, in this moment, it was time to band together and fight for our club. #SaveTheGroup is clearly bigger than a supporter group – it turned into a social movement. What were the biggest challenges beyond supporting the players on the field? The biggest challenge was to keep the momentum of our movement up, especially during the off-season. Without an on-field product, it was a bit more difficult to keep attention on the plight. We filled the time with charitable events and worked with reporters to let folks know that we weren’t taking time off during the offseason. The players may not be playing, but we’re fighting for their survival. Where did the inspiration to start something like this come from? Is there another example across professional sports? The inspiration for this sort of thing I think comes from politics. When you get down to it, #SaveTheCrew was really an issue-based political campaign. Our goal was to get the candidate elected with vast public support. Our candidate was the Columbus Crew. Was there a specific moment when you knew the group’s efforts were definitely impacting change? The rally itself was a statement. It sent the message that we weren’t going to lie down and let this happen to us. It was just a few days after the announcement, and thousands of people turned up at City Hall to voice their displeasure. We knew we had sparked something. How did the team & players react to the movement? The team was unable to openly talk about what was happening. We had heard rumors that the previous team ownership had threatened to unload players if they spoke out against the move. However, some Crew fans got a custom captain’s armband to Captain Wil Trapp that had the logos for our supporter’s groups on the outside, and the #SaveTheCrew logo on the inside, written with a rallying cry: “You fight for us, we fight for you.” Trapp wore the armband in multiple home matches, and we knew he was with us. What was it like the first time you saw the group being recognized nationally? Just a few weeks after the news, we had a prime opportunity with ESPN’s College Gameday coming to town for an Ohio State football game. Folks got together and painted dozens of banners, and there wasn’t a single frame of that episode that didn’t have some black and gold in the background. 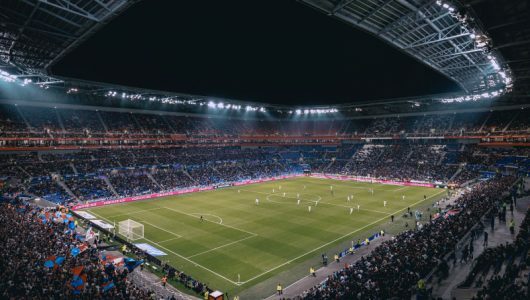 The US Soccer community lit up in support, with pictures of the broadcast shared all across social media, and the ESPN announcers talking about the movement. This was the national spark that drew more attention to our cause. 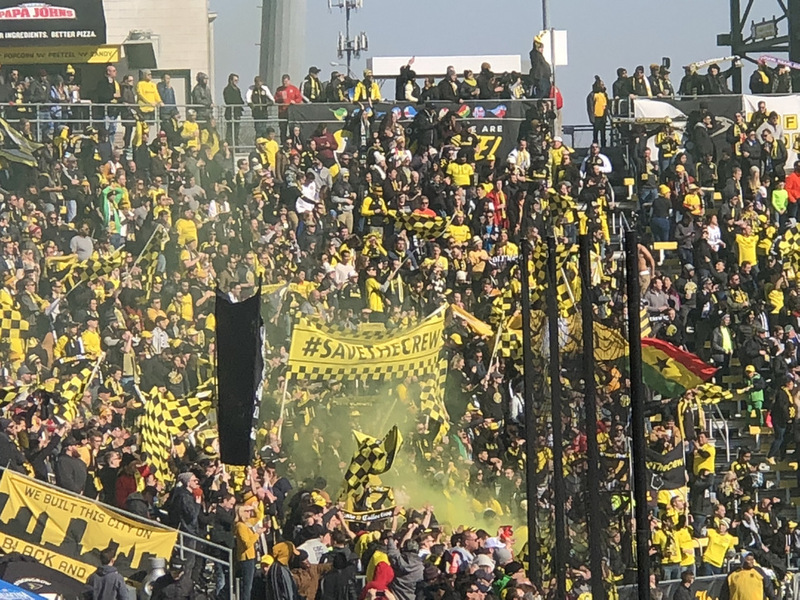 Could #SaveTheCrew be a sign for whats to come for supporter groups? Large groups bonding together for a cause larger than on-the-field support? We showed that the fans have a voice. We can fight millionaire owners and win. Our story is not dissimilar to social movements across the decades, just on a smaller scale. If people band together with a unified voice, they can accomplish anything. It just takes drive, a smart strategy, and more than a bit of luck. We had it all. I hope that fans across the world take our story and learn to fight for themselves. How was the energy around the stadium? Was it nervous? Exciting? Over the last season and a half, we had a lot of our fan-base abandon the team due to the potential move. Many fans didn’t want to put more money in the pockets of owners looking to take our team and leave. People were nervous, but to those of us in #SaveTheCrew, we were confident from early days that the team would stay. 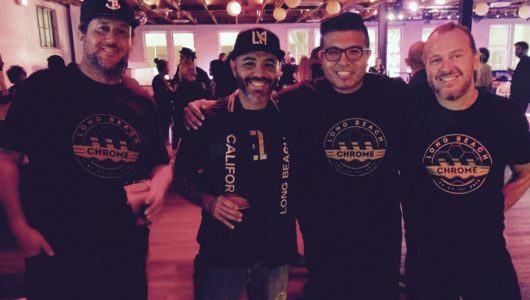 We knew our mission would be successful, because we knew we had the support of the city, and the national soccer community. We knew the noise would eventually be loud enough to save our team. Were scarves helpful for you guys to spread your message? If so, how? The #SaveTheCrew scarves we created raised awareness around the world. We sold thousands of them to help fund our efforts. They turned up in soccer stadiums around the world. They were at the World Cup. They were at Bundesliga games. One got in the hands of Jurgen Klopp before a Liverpool FC match. They dotted the crowd in MLS stadiums around the country. 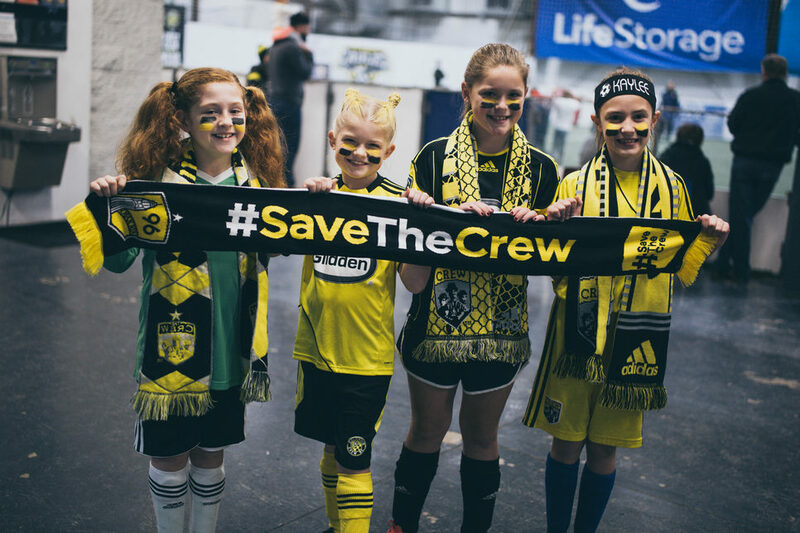 When Crew fans traveled to away matches, they were greeted at the stadium by opposing fans wearing their home-team kits and #SaveTheCrew scarves. They went worldwide. We couldn’t have been successful without it. If #SaveTheCrew had their own awards, who would win the MVP? There isn’t a true MVP of the #SaveTheCrew era. It would have to be split many ways and to many people, including Dr. Pete Edwards, Dee Haslam, Alex Fischer, Steve Lyons, Mayor Ginther, Columbus City Council, Franklin County Commissioners, Governor Mike DeWine, Columbus City Attorney Zach Klein, and former State Rep. Mike Duffey. This is not an exhaustive list. Without the work of folks across Columbus, this wouldn’t have happened. 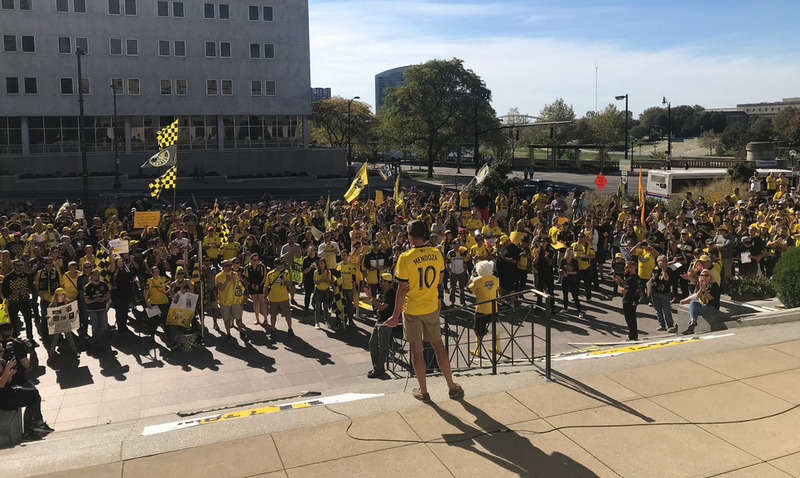 #SaveTheCrew just provided the spark for elected officials and business leaders to step in and get the job done. What is the greatest moment in Columbus Crew history? I think the greatest moment in Columbus Crew history could be split two ways: winning MLS Cup in 2008, and October 12, 2018, when MLS announced they were working on a deal to Save The Crew. What makes Columbus one of the best cities for MLS? Columbus is currently growing by a rate of 42 people per day. We attract millennials, which MLS has said is the prime audience for the league. With a world-class university, and more than a handful of Fortune 500 companies headquartered here, we are primed to boom in the coming decades. As the Crew moves downtown to a new stadium in 2021, we will see the sport grow to new heights. I can’t wait to see what happens next. The organization, #SaveTheCrew is winding down operations. There’s a core group of us who are moving on to something new in the Columbus Crew fan community, and we look forward to launching that soon. Until then, you can follow us on Twitter at @Save_The_Crew, or on Facebook.